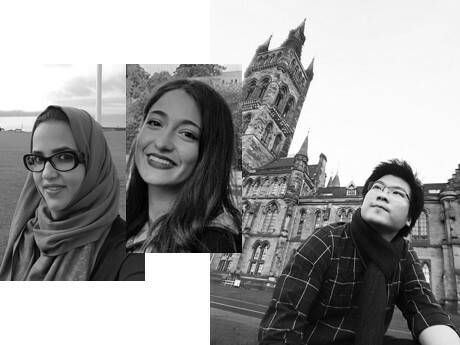 The lifETIME (Engineered Tissues for Discovery, Industry and Medicine) CDT is a partnership between the University of Glasgow, the University of Birmingham, Aston University and CÚRAM – Science Foundation Ireland. We will train innovation leaders in drug discovery and regenerative medicine through development of bioengineered humanised 3D models, microfluidics, diagnostics and sensing platforms. Our graduates will develop multidisciplinary, high-value skills in the design, creation and application of new knowledge to accelerate therapeutic discovery. Along with our industrial, clinical and charitable partners, the lifETIME CDT will build the cohort of talent the sector needs to thrive. PhD training in world-leading lab environments. Prerequisites, funding applications and the next steps. We are looking for amazing engineers, chemists, physicists, biologists, mathematicians and clinicians interested in working together to meet the challenges of improving health. Students will be hosted in dynamic labs and will have the opportunity for travel around the UK / Ireland and the rest of the world. Join this CDT if you want to perform exciting science, become a leader in the field, develop a network of like-minded talent and and help to grow the rapidly emerging sector focussed on engineering better models for drug discovery. Apply Now Diversity and inclusion is central to our success and excellence is our main entry criteria. Please talk to us if you would like to find out if this programme is for you!